Maybe someday it will stop snowing, and we can actually go to school and learn something. ;) Don't get me wrong. I love being off, but I just keep thinking of everything we need to cover before end of year assessments. 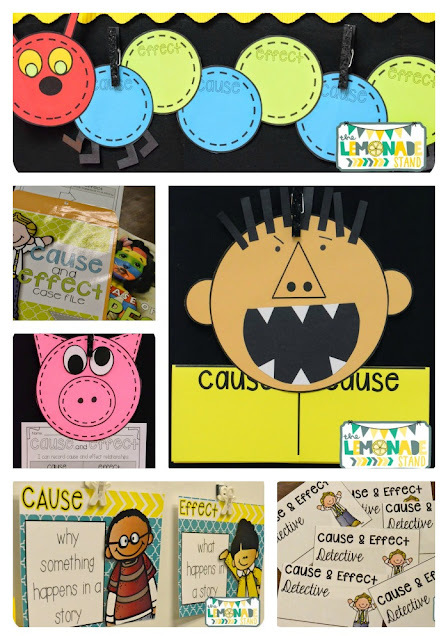 I just finished up a new cause and effect unit to supplement our reading curriculum. If you are familiar with any of my other comprehension units, you will have an idea of how I structure my comprehension lessons. I wanted to give another breakdown though of a typical week in the comprehension component of reading. I always have these little mini-posters for students to refer to, along with an anchor chart we make on day one. We also watch a BrainPop Jr. or a YouTube video to introduce us to the skill for the week. 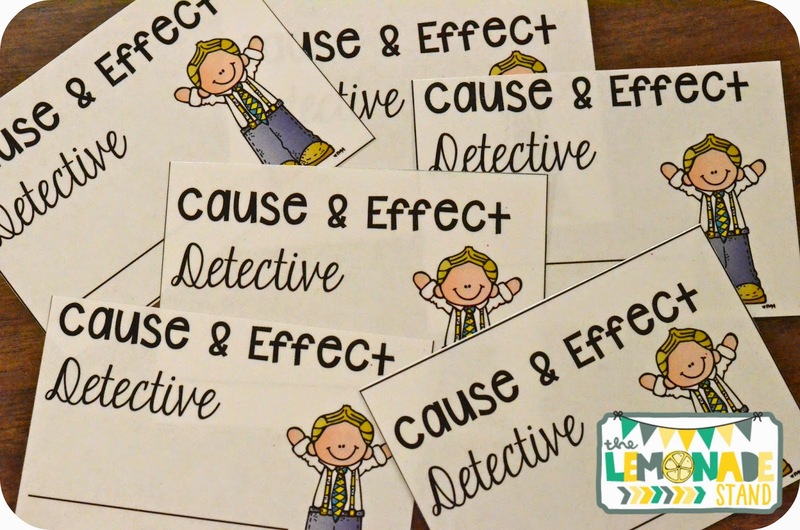 For this unit, I give my students these little name badges to wear so they feel super important! ;) They fit in standard name badge holders or you can just paperclip them to their shirt collars. On day one, I do lots of modeling and we pretty much do everything whole group. For this particular unit, I start off reading If You Give a Pig a Pancake by Laura Numeroff. 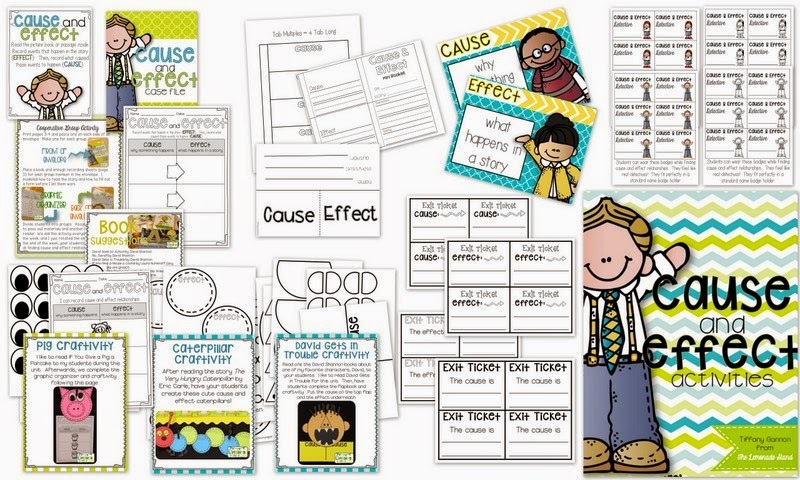 There are tons of cause and effect relationships to point out and add to your anchor chart while reading. 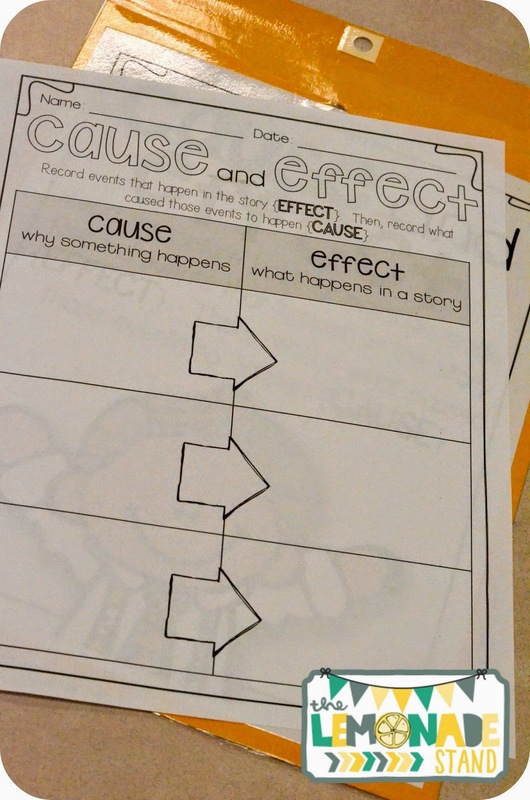 Students will have this little graphic organizer on their clipboards while I am reading. They choose three to record as we are reading. 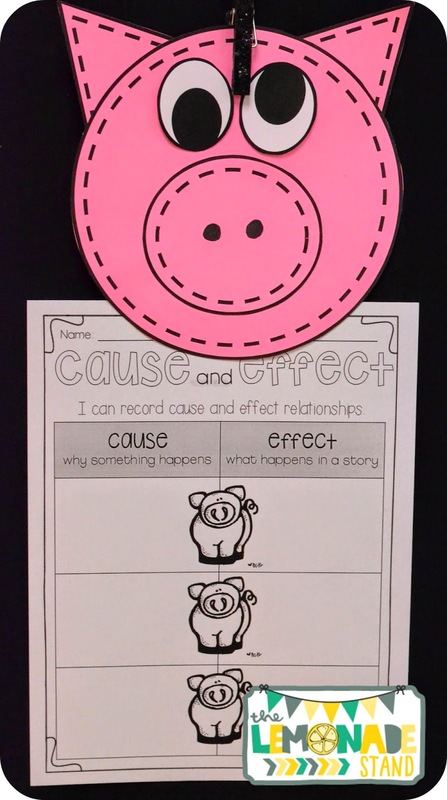 Then, we make these simple little pigs to add to our graphic organizer. The following day, I start releasing a little more independence. 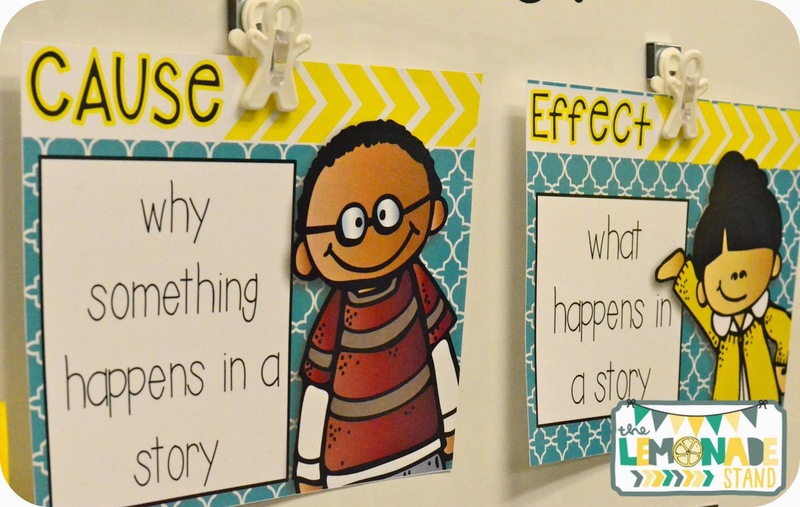 We, of course, repeat over and over what the terms cause and effect mean using whole brain strategies. We do another story and craftivity and then they participate in a cooperative group activity. If time is an issue for you, you could have them do this during small group instruction or even during centers. 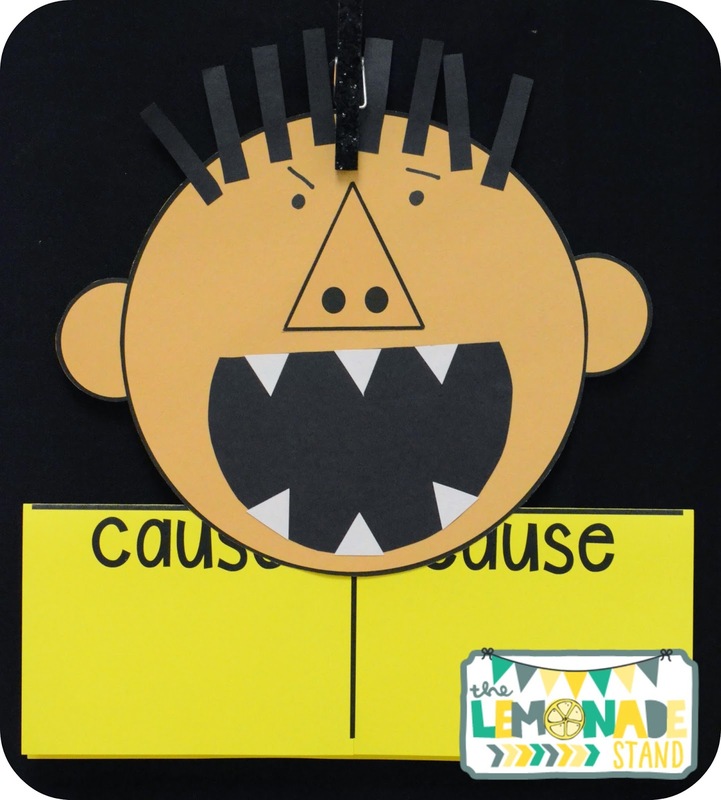 It would also be a great early finisher activity students could easily grab and work on. 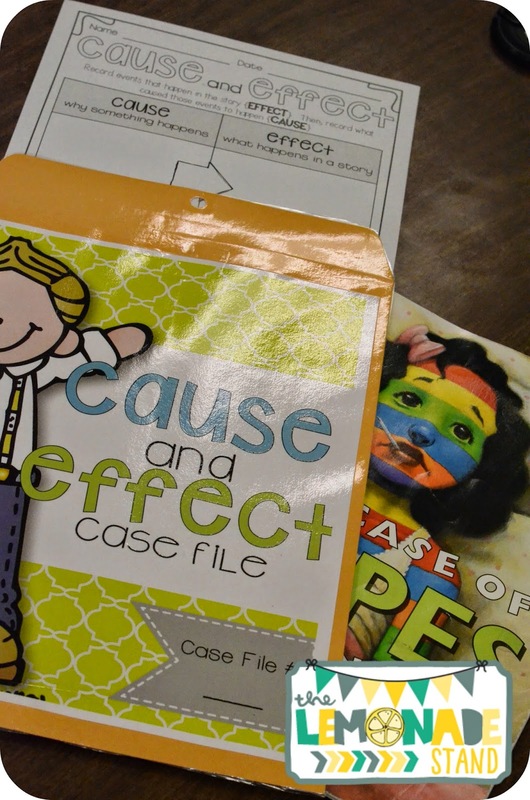 Students read the book or passage inside and complete the graphic organizer together. The first time I do this unit, I like to use all picture books. When I do this unit again, I might vary it with books and passages. You can find lots of great passages on Teachers Pay Teachers and on Read Works. We also read The Very Hungry Caterpillar by Eric Carle and make this sweet caterpillar you see here. This is my example for students to follow. 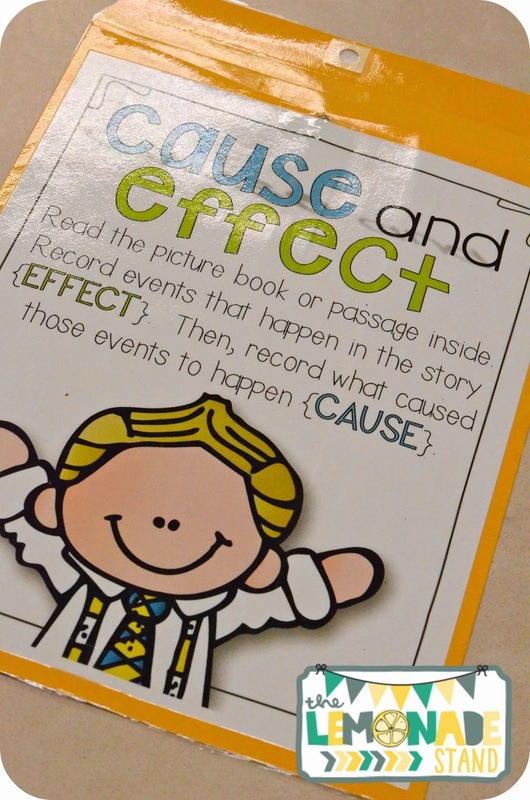 They alternate recording cause and effect relationships throughout the story. Since I do No, David! at the beginning of the year, we read David Gets in Trouble by David Shannon. Then, we complete this little flap book to go with our David. 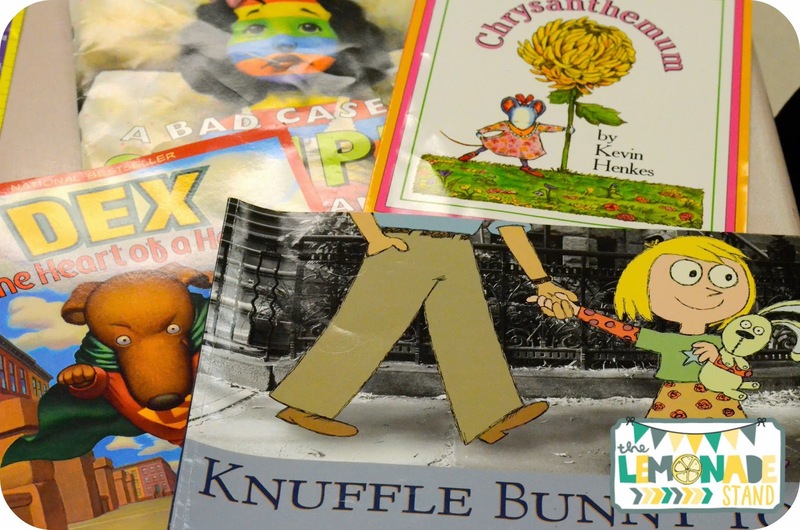 I have included everything you need for the cooperative group activity, an interactive notebook template, a mini-book, a flap book, name badges, mini-posters, book suggestions, four exit tickets, and three craftivities with printables. 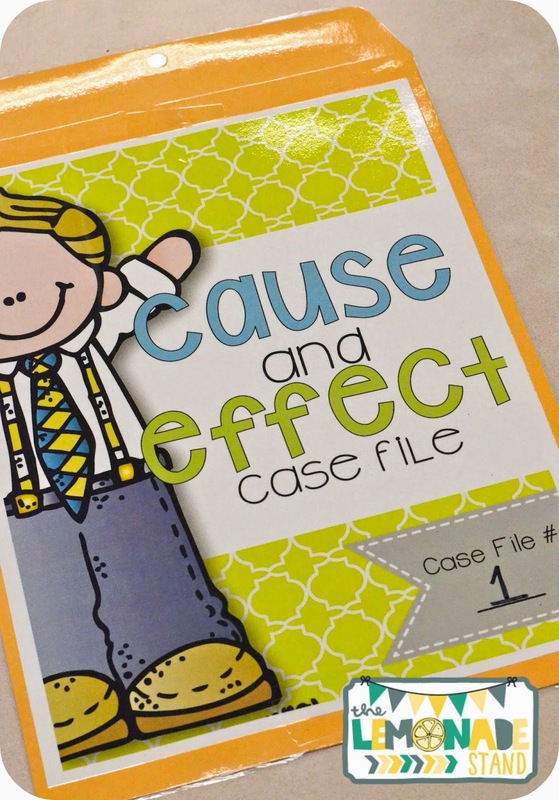 You can click the pic below to pick up a copy if you need some cause and effect activities. It's on sale through tomorrow! 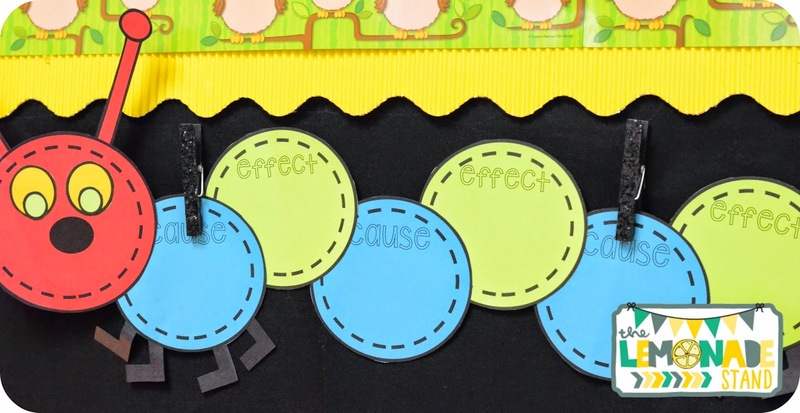 I am working on a blog post explaining how I organize my centers next. I hope you will check back in! Have a great rest of the week!